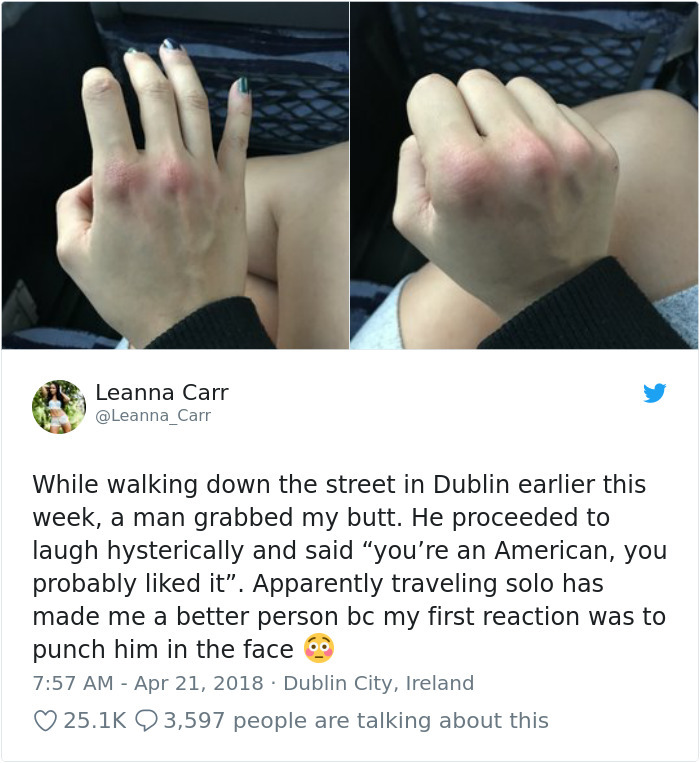 Sexual harassment has become a major issue over the past year, and more and more women are coming forward with their stories, like Leanna Carr, who punched a man that grabbed her while on vacation. 26-year-old Leanna Carr from Colorado went on a trip to Dublin, Ireland, but didn't know the impact it would have on her and other women. Little did the man know that Leanna is a power-lifter and strength trainer that may look just like any other girl, but packs quite the punch thanks to her training. For many women that are subjected to sexual harassment, speaking about their experience can be difficult, and some even feel like they can't talk about it. Leanna decided to do the opposite and expose the matter right when it happened. After she posted the photo of her knuckles, Leanna felt somewhat remorseful about what she had done. 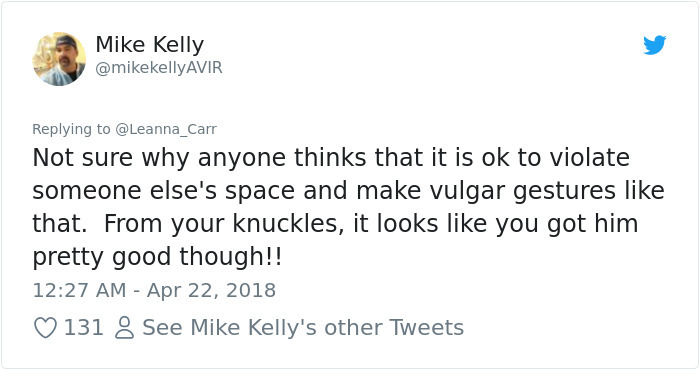 Luckily, Leanna received an outpour of support on twitter from women and also men who helped her realize that she did nothing wrong. “In the past, I probably would have felt too shocked and timid to have dealt with the situation. I probably would have just walked away… and that man probably would have continued to prey on innocent women,” Leanna said. “I never use Twitter and didn’t write the post for attention, but I’m glad it went viral. This is something that is very common and hopefully, it encourages more women to feel comfortable and able to stand up for themselves if it does happen to them".